Here are some articles we have been featured in! Sweet Cup Gelato & Sorbet is growing. The local business has expanded and opened their second location in Garden Oaks/Oak Forest at 3444 Ella Boulevard this year, and are opening their first manufacturing facility this spring to keep up with product demands and whole sale offerings. Today we’d like to introduce you to Jasmine Chida. I was inspired by a trip to Italy; I fell in love with the food, culture, and history. The ingredients and passion put forth in their cuisine was inspiring. I have always loved ice cream it’s my absolute favorite dessert. My diet in Italy every day consisted of pizza, pasta, wine, and gelato. When I got back, I started to venture out to find gelato and sorbets which I had in Italy, but there were not many shops at the time that had the product or what was similar to what I had in Italy. “EVERYTHING WE DO at SweetCup is based on what our customers want,” says owner Jasmine Chida. 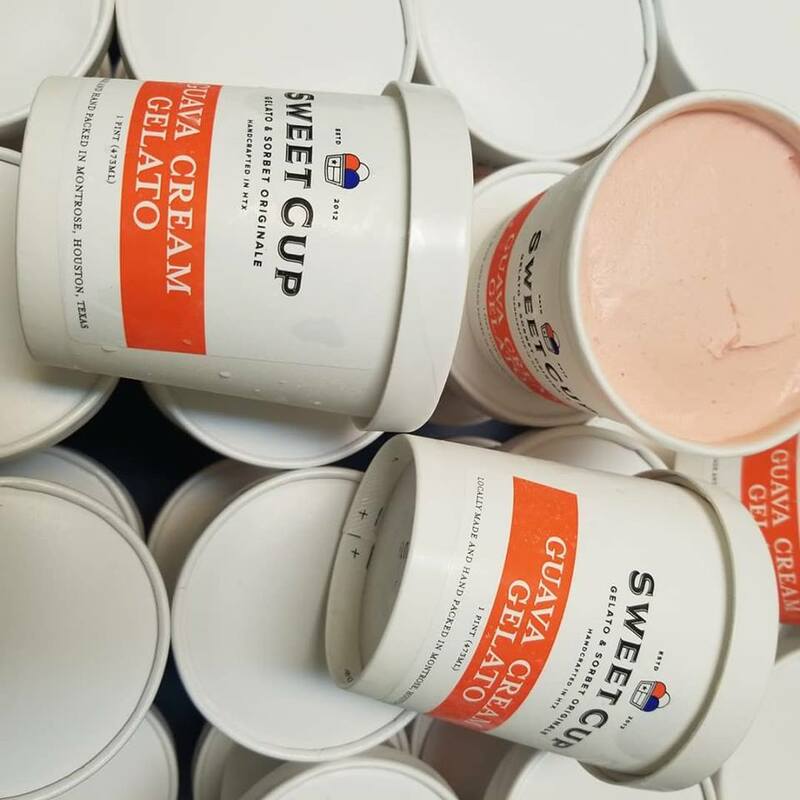 Sweet Cup Gelato opened in 2012 and has been Houston's most underrated ice cream shop — until now. It's a complete mystery as to why more people aren't raving about inventive and exotic flavors like Kashmir Rose, Bacio (after the Italian chocolate-hazelnut candy) and Malai Kulfi. Every year we give the people of Houston what they need. No need to fear the dark, especially when it comes to All Hallows’ Eve. Some people mistake our novelty flavor, Vampire’s Delight, for a caramel chocolate based on it’s color. If any actual vampire is foolish enough to fall for it, another sucker is slain. If you haven’t tried this flavor, you’re now in luck. Based off of high demand, we are bringing out this savory flavor of roasted garlic and black salt. We will have it out by Tuesday or Wednesday of next week in time for Halloween. If you’d like to know more about this flavor, you can check out Houstonia’s scoop on it.